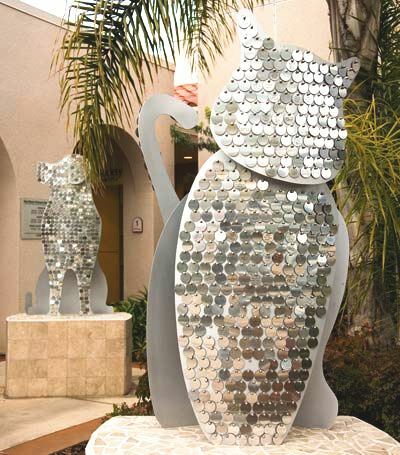 Two sculptures, a cat and a dog, grace the entrance of the Humane Society's San Diego campus, each featuring 800 shining silver tags. With a donation of $100 or more, you can personalize a celebration tag to memorialize or honor a person or pet. Your message will be engraved on a tag, then proudly displayed on the sculpture of your choice. While your gift in any amount is appreciated, the minimum donation for a pet tag is $100.00. To make a tribute contribution under $100.00, please click here. I don't have a preference, please choose for me.